Sclerotherapy of Varicose Veins and Spider Veins is used in the treatment of varicose veins and spider veins. Varicose veins and spider veins are usually found in the lower extremities, thus the procedure involves the lower extremities. Why is the Sclerotherapy of Varicose Veins and Spider Veins radiology procedure Performed? Sclerotherapy is used to treat varicose veins and spider veins. There have been no recent advances in the Sclerotherapy of Varicose Veins and Spider Veins. What is the Cost of performing the Sclerotherapy of Varicose Veins and Spider Veins radiology procedure? The cost of Sclerotherapy of Varicose Veins and Spider Veins depends on a variety of factors, such as the type of your health insurance, annual deductibles, co-pay requirements, out-of-network and in-network of your healthcare providers and healthcare facilities. How does the Sclerotherapy of Varicose Veins and Spider Veins radiology procedure work? How is the Sclerotherapy of Varicose Veins and Spider Veins radiology procedure Performed? Sclerotherapy of Varicose Veins and Spider Veins are performed as outpatient procedures. Sclerotherapy of Varicose Veins and Spider Veins is performed as an outpatient procedure, at a hospital. An interventional radiologist or vascular surgeon performs the Sclerotherapy of Varicose Veins and Spider Veins procedure. An interventional radiologist or vascular surgeon may follow up after the Sclerotherapy of Varicose Veins and Spider Veins to check the treatment outcome. Following preparations are needed prior to Sclerotherapy of Varicose Veins and Spider Veins procedure. A physician will request your consent for Sclerotherapy of Varicose Veins and Spider Veins using an Informed Consent Form. What are the Limitations of the Sclerotherapy of Varicose Veins and Spider Veins radiology procedure? What are Sclerotherapy of Varicose Veins and Spider Veins procedures? What is to be expected during the Sclerotherapy of Varicose Veins and Spider Veins radiology procedure? Local anesthetic may be used during the Sclerotherapy of Varicose Veins and Spider Veins procedures. Since Sclerotherapy of Varicose Veins and Spider Veins are minimally invasive procedures, the blood loss involved during the procedure is minimal. What are the possible Risks and Complications during the Sclerotherapy of Varicose Veins and Spider Veins radiology procedure? What Post-Operative Care is needed at the Healthcare Facility after the Sclerotherapy of Varicose Veins and Spider Veins radiology procedure? No specific post-operative care is needed at the healthcare facility after Sclerotherapy of Varicose Veins and Spider Veins procedures. What is to be expected after the Sclerotherapy of Varicose Veins and Spider Veins radiology procedure? 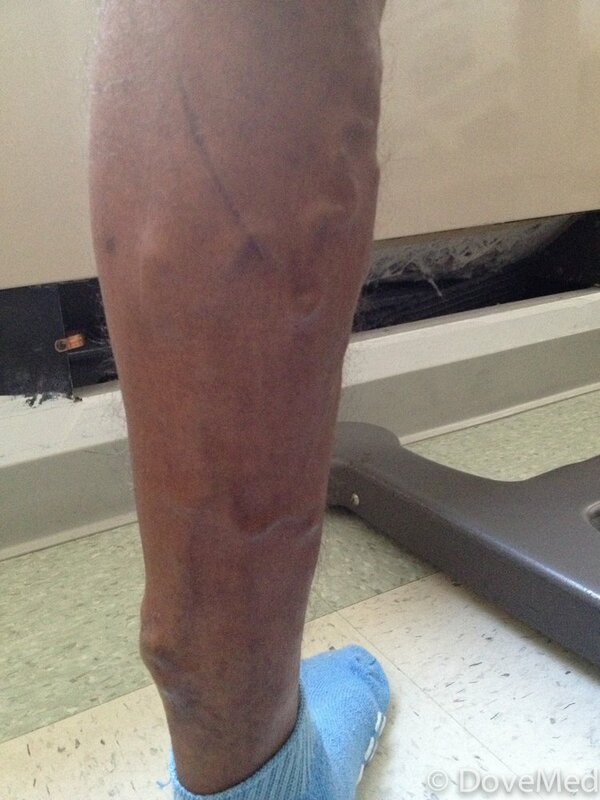 The patient may experience several side effects after Sclerotherapy of Varicose Veins and Spider Veins. What Post-Operative Care is needed at Home after the Sclerotherapy of Varicose Veins and Spider Veins radiology procedure? Patients are recommended to use compression stockings or support hosiery after the Sclerotherapy of Varicose Veins and Spider Veins procedure. Sclerotherapy of Varicose Veins and Spider Veins procedure does not involve the removal of any body tissue. Who will you receive a Bill from, after the Sclerotherapy of Varicose Veins and Spider Veins radiology procedure? The patient is advised to inquire and confirm the type of billing, before the Sclerotherapy of Varicose Veins and Spider Veins procedure is performed.